Don’t forget about the workers’ rights movement that earned us all a fairer workplace. Here are a few quick reads to help you brush up on workers’ rights issues, past and present. When you do good stuff, you need good people. So, we’re hiring! So give it some thought. If you do good stuff and you do it well, then you might fit our fun, goofy, obsessed with success team! Perry Political Partnership is seeking a talented, well-organized, and reliable individual to assist with the external communications of Perry Political Partnership, including developing content for social media, the weekly Perry Political newsletter, creating graphic content, and managing the Perry Political mail and contacts list, and updating the Perry Political website and social media channels. The Communications Assistant will work directly with the Perry Political team and can work remotely, but must be able to regularly work from the Perry Political offices for meetings, events, video production and as needed. The Communications Assistant will work with the Perry Political team to produce regular short videos and distribute them widely. Ideally the Communication Assistant will have experience with video production and editing. Manage communications and outreach for Perry Political events. Pay is commensurate with qualifications and experience. On August 28th, we’ll be in Clemson, South Carolina! If you’re nearby, come join Melissa, James, Mary Geren and the star of the evening, South Carolina’s 3rd District! Watch now: We’ve got Myya Jones’ back! It’s hard to imagine that a candidate could be more exciting than Myya Jones! We wanted to get to Detroit to hang out…but since we couldn’t, this video is the next best thing. We joined the Netroots Nation in NOLA and this NO CHOICE panel was everything. The panelists were amazing but the real stand outs were the documentary snip its. All the feelings…check it out. Psstt…guess who’s coming to Netroots Nation? Without Justice Kennedy on the court what will happen to Roe v. Wade? Before that landmark decision women were at the mercy of state power if they sought to end an unwanted pregnancy. Abortions were illegal, traumatic, and dangerous; many women died, many were injured for life. Join us for a panel discussion on abortion and screen NO CHOICE, a series of short video portraits. Hear what it was like to seek an abortion prior to Roe v. Wade. Learn from the experiences of a doctor who treated women in the ER from incomplete or botched abortions. Discover how states today are denying access to care due to geography, wait times, intimidation by protestors, financial barriers and other reasons. What would America be like if Roe v. Wade were overturned? Come, watch and discuss”and when you return home, find out how reproductive rights are restricted in your state and how your US senators will vote in the upcoming hearings for a new Supreme Court justice. Carmen Berkley currently serves as the Managing Director for Planned Parenthood Action Fund. Over 15 years of experience, Carmen has served as the President of the United States Student Association, Field Director at NAACP and Choice USA, Digital Strategist at AFSCME, Executive Director at the Generational Alliance, and most recently Director of Civil, Human and Womenâ€™s Rights at the AFL-CIO, where she led an effort to develop a racial justice and criminal justice platform for the labor movement, and la large scale effort to build the electoral capacity of people of color and women. Carmen is the a co-host and producer on WPFW FM, shes been seen as a political commentator on MTV and TVOne, and she is frequently quoted and writes for magazines and blogs. She is on the Board of Directors for Congressional Black Caucus Institute, Advocates for Youth and the League of Young Voters. Amy Irvin is the executive director of the New Orleans Abortion Fund, and served as the first intake coordinator. She has worked at abortion clinics in New Orleans and Atlanta, and was recognized as the Volunteer of the Year by Planned Parenthood of Kentucky in 2006. She earned her Master of Science in Social Work at the University of Louisville where she researched the impact of parental consent laws for minors at the ACLU of Kentucky Reproductive Freedom Project, and a Bachelor of Arts in Philosophy from Agnes Scott College. She has also worked with the International Rescue Committee, and is a former union organizer with the United Food and Commercial Workers in Arizona and Indiana. Erin Matson is Co-Founder and Co-Director of Reproaction. A longtime organizer, writer, and leader for women’s equality, she previously served as Action Vice President of the National Organization for Women as well as Editor at Large for Rewire. She lives in Arlington, Virginia, and serves on the board of NARAL Pro-Choice Virginia Foundation. Aimee Thorne-Thomsen is a long-time activist whose work has focused on supporting young people to develop their skills and leadership around the reproductive health, rights and justice issues that most affect their lives. Currently, she is the Vice President of Strategic Partnerships of Advocates for Youth, where she oversees and coordinates the development, implementation and evaluation of Advocates’ strategic partnerships with youth activists and organizations in allied social justice movements. Prior to joining the Advocates staff, she was Interim Executive Director of the Astraea Lesbian Foundation for Justice and Executive Director of the Pro-Choice Public Education Project (PEP). She is the Co-Chair of the Board of Directors of SisterSong Women of Color Reproductive Justice Collective and Chair of the Board of Directors for Power California. This video about Mary Geren gave us chills…It tells the real story of the woman we met in Anderson, South Carolina. Check it out. Perry Political Partners drove to Anderson, South Carolina to visit People’s House Project endorsed candidate Mary Geren in mid July. Mary Geren is a Democrat running in South Carolina’s 3rd Congressional district. The Perry Political team attended a lunch with constituents, strategized with the Geren campaign, and helped host a midsummer BBQ and Backpack-to-School event to provide school supplies for local kids in need. The cause was close to heart for principals Melissa and James, who facilitate programs for low-income students and youth in Winston-Salem. To learn more about the Mary Geren for Congress campaign click here. 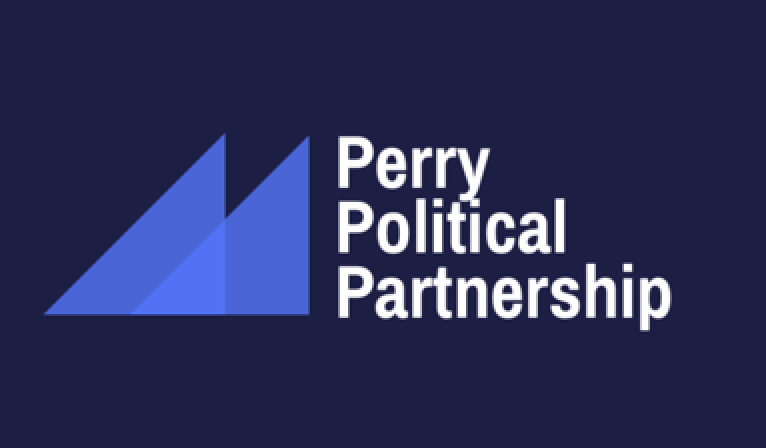 Wade Davis, the NFL’s first LGBT inclusion consultant and former NFL player, joined Perry Political Partners for a conversation about building community and engaging elections in this crucial midterm cycle. Davis currently consults for Google, Netflix, AppNexus, and others to co-create transformative solutions to build inclusive corporate cultures. On Friday, July 6th Perry Political Partners was thrilled to welcome elected officials, current candidates, and members of our community to our Winston-Salem offices as Wade Davis discussed the vision and values he shares with our team. We had a robust discussion of our commitment to diversity, the value of careful listening, the power of engaging across differences, and the necessity of authenticity. Like Wade, our team of consultants is committed to providing our clients with guidance that reflects the complex intersections of identity of American life and politics. If you missed us on Friday but are interested in coming to future events, sign up for our email updates here! We will continue to host community events to share our vision and values with our community here in Winston-Salem, NC.